Trudeau could have answered his former justice minister fact for fact. Instead, his statements have been as stilted and contrived as the optics. If you're looking for some instructive reading, go look up an aggregation of utterances by Prime Minister Justin Trudeau. Some are already famous for their loopiness: budgets balance themselves, the government shouldn't call honour killings barbaric, we need to rethink the definitions of space and time, we should say "peoplekind" instead of "mankind" (he may actually have been making fun of himself with that one). Most, though, are just syrupy, unmemorable banalities about values and optimism and respect and caring for one another. Like this masterpiece of tautology the day he was sworn in as prime minister: "The diversity that makes this country so strong is a diversity of views that will carry us forward." Trudeau's happy blather was digestible enough at first, particularly after nearly a decade of Stephen Harper. Like tapioca after heartburn. But as it kept coming, picked up and amplified by his cabinet ministers, it began grating on the nerves, the way retail Christmas-carol Muzak does by late November. Eventually, it became clear that our prime minister didn't really have much else to say. He relies more heavily on talking points than any Canadian leader in my memory (40-plus years), his answers swollen with extraneous words and catchphrases crafted by his messaging experts. He and his ministers are capable of answering nearly any question with some vow of support for "the middle class and those who are working so hard to join it," an annoyingly meaningless phrase that's become a banner for his government. In any case, this verbal porridge, delivered with a serene smile, has carried him along. Until now. With his government sinking into a self-inflicted crisis, it's beginning to appear that Justin Trudeau simply doesn't have the intellectual acuity to cope. Look at his response to the testimony of Jody Wilson-Raybould last week. She had just finished delivering a measured, unambiguous indictment, accusing him and his staff of attempting to pervert justice for political gain. He could have answered his former justice minister fact for fact. Instead, Trudeau appeared a few hours later in Montreal, two rows of nervously smiling party volunteers arranged behind him, a newly elected MP standing haplessly to the side. His statements were as stilted and contrived as the optics. "We will stand up and defend and create jobs, and we will always defend our institutions and rule of law." The government has "consistently defended Canadian jobs while defending our institutions and the independence of our judiciary." Stephen Harper was mean, said Trudeau, herding his predecessor into questioning about Wilson-Raybould's charges, and he did favours for the wealthy, while Liberals "invest in Canadians" (a favourite line, whatever it means). His central job as prime minister is to stand up for jobs and defend our institutions. And so on. Not a spontaneous syllable, not a second of candour or actual reflection. Certainly no substantive reply to Wilson-Raybould's remarkably serious accusations. Trudeau could have talked about the difficulty of having one member of cabinet coexisting as both a political minister and attorney general, a problem Wilson-Raybould herself addressed, but no. He could have given his own version of discussions with her. But no. This is a man who either doesn't think the public deserves a straight answer, or just isn't capable of delivering one. 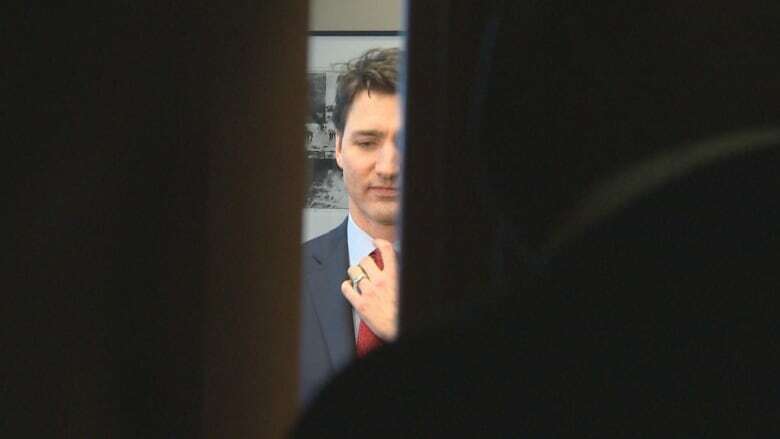 And there was the flicker of condescension he's shown before; it was important, he said, that Wilson-Raybould be able to speak, and he was glad he'd allowed her to. 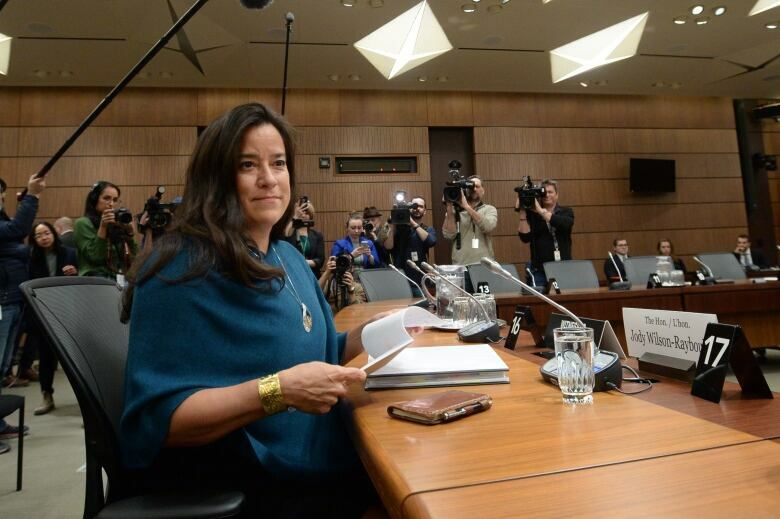 It was much the same performance this week, after Jane Philpott followed Wilson-Raybould out the cabinet door, declaring she could not square her constitutional obligations as a minister of the Crown with the evidence she'd seen of political interference. A few hours later, at a rally in Toronto to gin up support for a carbon tax, Trudeau made a manic entrance, grinning and high-fiving and flesh-pressing and trying to look happy, before grabbing Environment Minister Catherine McKenna in an awkward hug, and, puzzlingly, yelling, at a Liberal rally, "Are there any Liberals in the house?" Then, more empty message track. "In a democracy like ours and in a space where we value our diversity so strongly, we're allowed to have disagreements and debate, we even encourage it. This matter has generated an important discussion." Oh, and also, he's taking it all seriously. So there's that. Happily, the Commons justice committee actually is taking it seriously. Even as, at exactly the same time, Republican members of a congressional panel spent the afternoon childishly heckling former Donald Trump lawyer Michael Cohen's efforts to testify – one of them erected a giant placard reading "Liar, Liar, Pants On Fire!" – the multipartisan panel in Ottawa behaved like adults. ​OPINION If Jane Philpott doesn't have confidence in Justin Trudeau, why should anyone else? Unlike her own party leader, who is as devoted to message track and empty rhetoric as the prime minister, Conservative MP Lisa Raitt's questioning of Wilson-Raybould was serious and probative. It was in fact a public service. As was the scoop by Globe and Mail journalist Bob Fife (along with Steven Chase and Sean Fine), who detonated this crisis. The question now is whether Canadians are going to hear any real answers from their prime minister, if indeed he's capable of offering any. Actually, there are more honest moments in the pantheon of Trudeau's quotations than in any of his performances in the past few weeks. Back in 2013, former Global anchorman Tom Clark asked Trudeau about his intellectual substance. His answer: "You know, I'm not going to go around reciting Pi to the 19th decibel or you know wave my grades, or test scores to people. I'm going to simply do what it is that I have to do." Most people can't recite Pi to any decibel, let alone decimal. In another encounter with Clark a year later, this time jammed into the cabin of Clark's little airplane, he talked about the necessity of educating people (read: all of us). "I am a teacher. It's how I define myself. A good teacher isn't someone who gives the answers out to their kids but is understanding of needs and challenges and gives tools to help other people succeed." 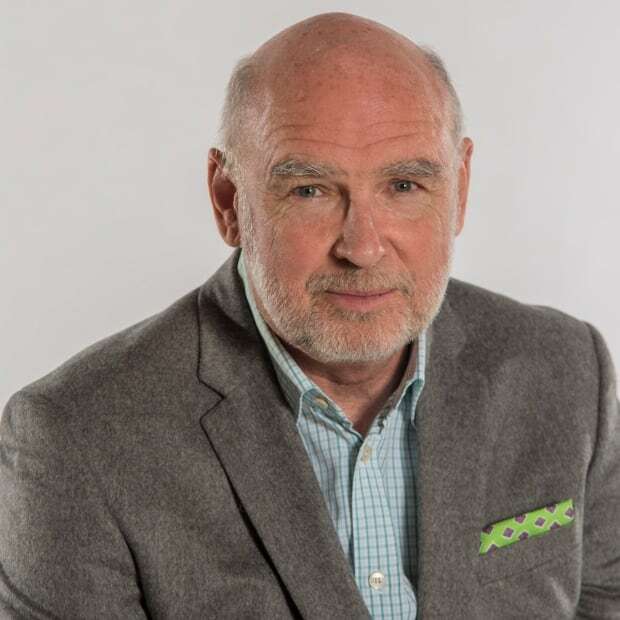 To the National Post's John Ivison, he declared: "Who cares about winning? We should focus on serving." (Actually, according to Wilson-Raybould, Trudeau cares a great deal about winning, to the point where he's ready to overturn a prosecutor's decision, if that's what it takes). But it was to CTV that he was probably most candid. "At one point," he told the program W5, "people are going to have to realize that maybe I know what I'm doing." Or not. On the evidence of the past few weeks, I'm thinking not.